If there were one characteristic of the Japanese culture that I admire the most, it would have to be the high level of craftsmanship and the attention put on details. I have to give the Japanese credit in creating the most intricate and well-executed products through craft and trade, namely architecture. Culturally, the value of precision and detail existed well throughout historical Japanese architecture. The typological temple presents a good example of traditional values of craftsmanship being preserved within the Japanese culture. Ise Shrine, for example, is one of the oldest sites dedicated to Shinto within Japan. What amazed me upon visiting the temple was the intricate and seamless convergence of structure and aesthetics. The joints between the bracketing system were perfectly matched, even to every wooden bridge railing. Every wood beam and column seems to be cut and carved out with perfect angles. What’s even more surprising is that the building itself is physically only around fifteen years old, recently rebuilt in 1995. The essence of this national treasure is the passing of traditions and heritage through ritual and techniques that have lasted for centuries and still remain intact. And to think, this structural precision was achieved before use of any nails or screws. 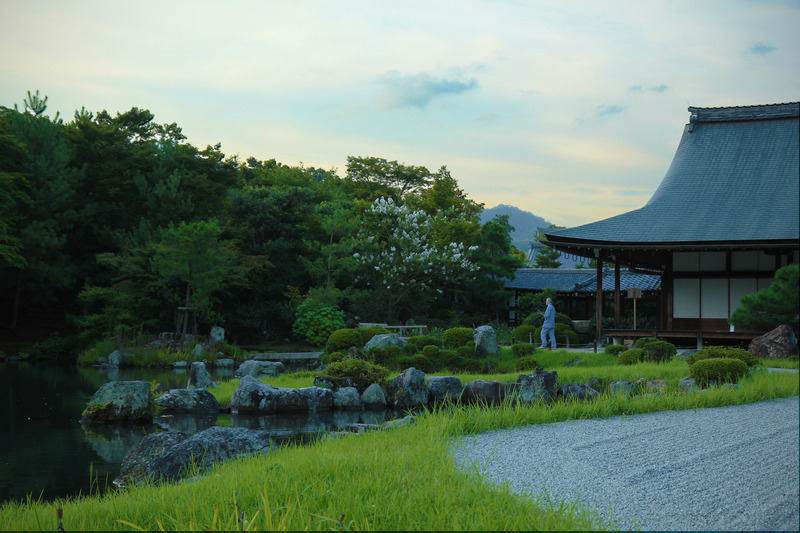 Beyond just the architectural level, the Japanese pay the slightest of details in landscaping as not only a supplement to architecture, but also a whole other experience of its own. It’s no accident that a single tree, stone, or bush in the garden was placed, planted, and conditioned to grow as it does. The uniquely shaped bonsai trees, or the jagged rocks that dot the water ponds aren’t merely natural coincidences, but purposely planned and detailed to sit where they sit because the owner wanted it to. What we call “designed” the Japanese perfected the experience of the garden into a complete forest by using the surrounding environment as a frame of reference, shakai, or “borrowed scenery”. A few days ago, I had one of the most awkward yet fulfilling and satisfying dining experiences yet. What I thought was a simple dinner at a sushi bar turned out to be a cultural lesson. As I sat at the counter observing the businessmen and women eating their meals, it occurred to me how foreign I really was. It was the first time I really felt self-conscious of myself around other Asians. While fumbling to place my chopsticks in the right position, I felt the sense of being un-presentable, lacking formality. I watched the chef in front of me preparing a roll. Like an artist on his canvas, the chef took great pains to prepare the fish, as if this was the last dish he was to ever prepare. Each slice of the fish was slowly cut at the exact width. If a grain of rice were sticking out of the seaweed, he would brush it off, while carefully molding the roll in a perfect cylinder. After, what seemed like hours, he cut the roll with precision only to meticulously place each piece on a dinner plate and place it before the customer. For the Japanese culture, details orient from ritualizing every aspect of every object. From food to architecture, the people of Japan hold great respect for tradition and culture, especially traditional values of craftsmanship. Each individual takes great pride in what they manufacture as part of the collective. The views and opinions contained in this blog are solely those of the individual authors and do not represent the views and opinions of the University of Southern California or any of its officers or trustees.